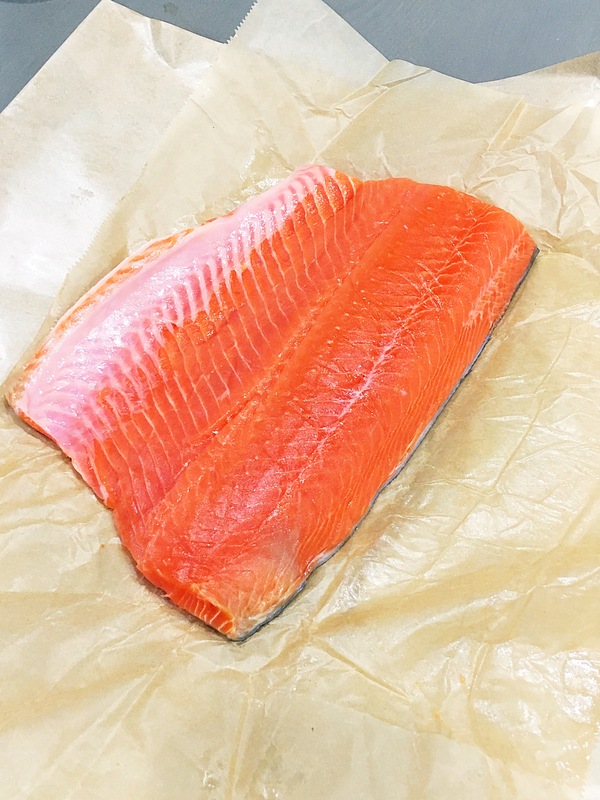 Salmon is by far my favorite fish. I love it in so many ways… as sashimi, smoked, tartare, grilled, baked, poached and even canned. I am always looking for new ways to make it and recently I ate it in an Italian restaurant where it was dijon glazed. I was determined to recreate the recipe my way and thats exactly what I did! 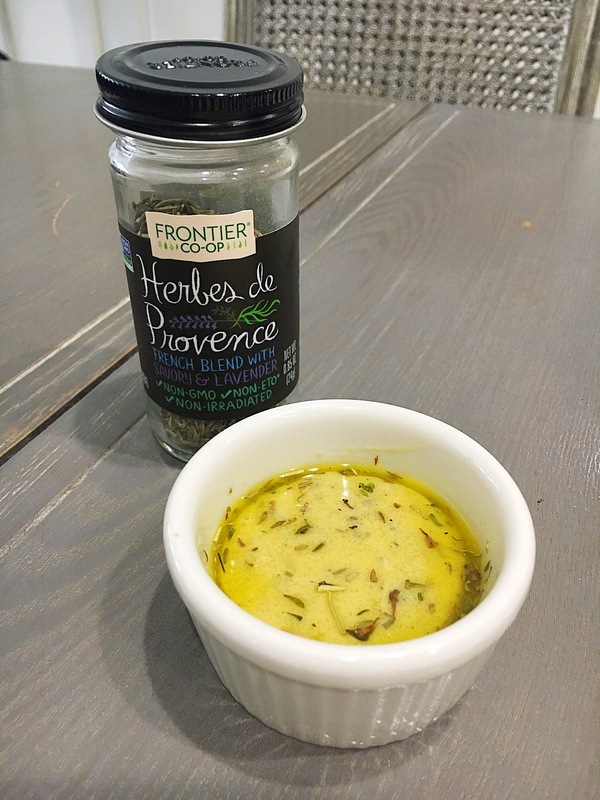 Mix the olive oil, lemon juice, Herbs de Provence, dijon mustard, salt and pepper in a bowl. 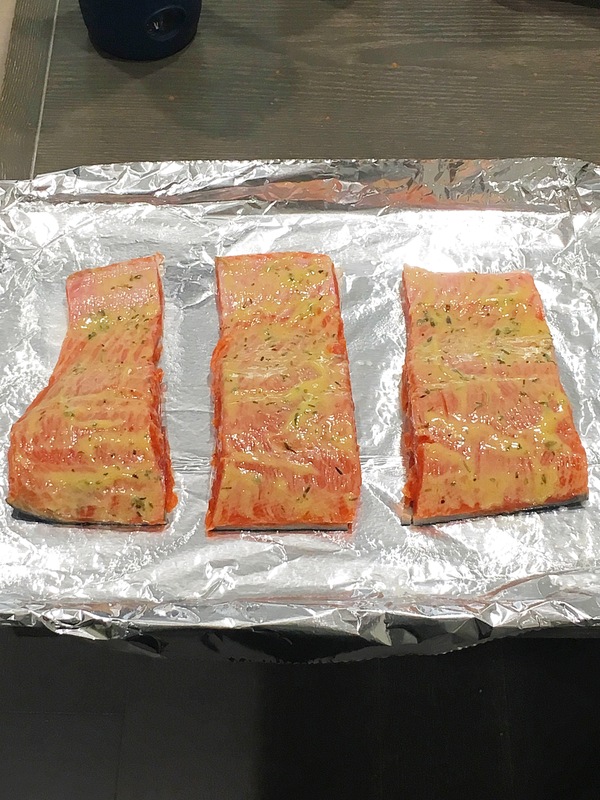 Unwrap your piece of salmon so it is on a flat surface. 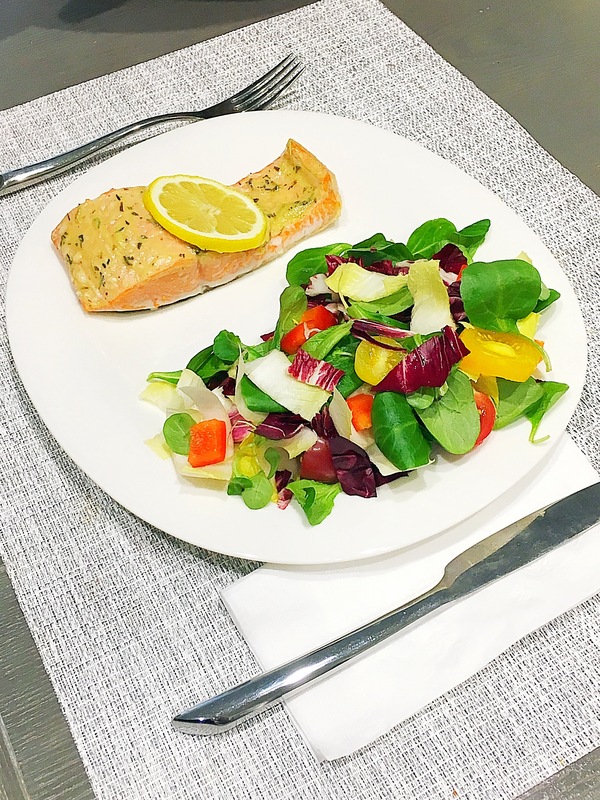 I used wild sockeye salmon which is a more muscular type of salmon with a higher protein content and less fat. It definitely has a different taste than Norwegian salmon or king salmon. 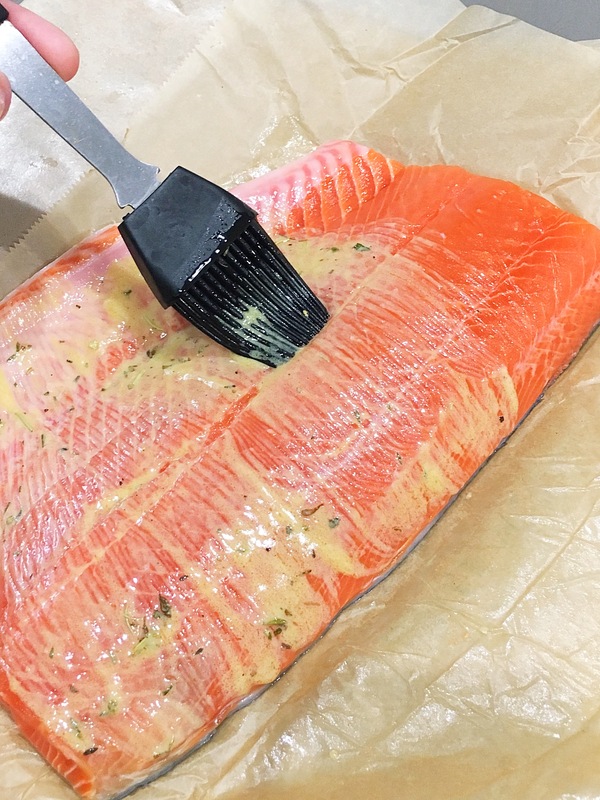 Take a brush, dip it in the dijon mixture and begin spreading it on top of the salmon. 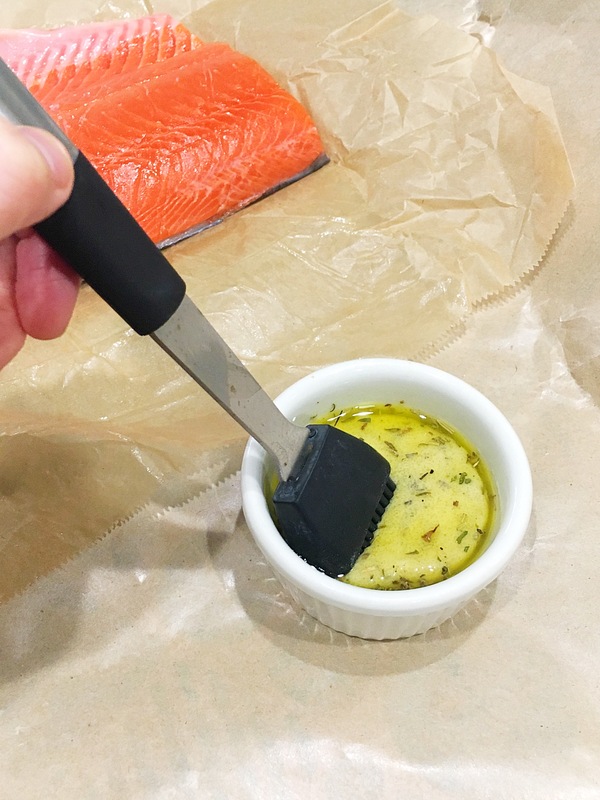 Try and coat the entire surface of the fish. 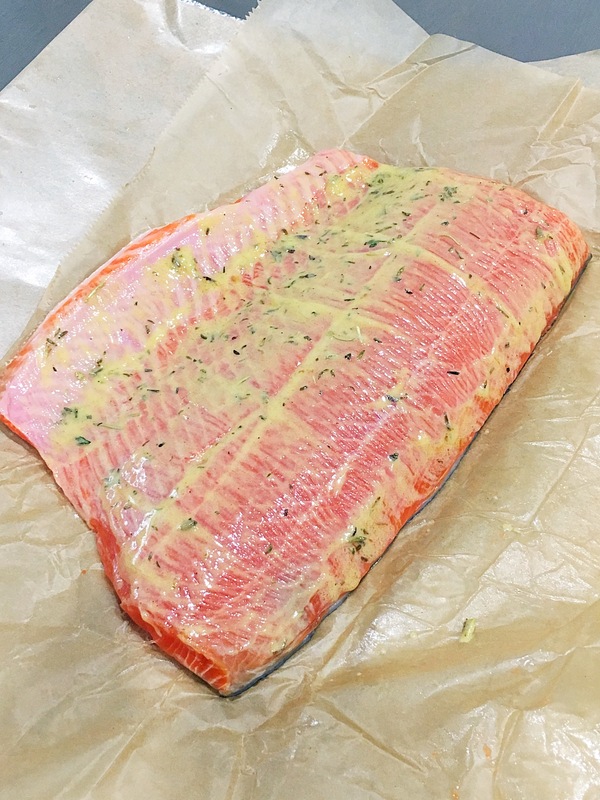 Afterwards, cut the salmon into filets. 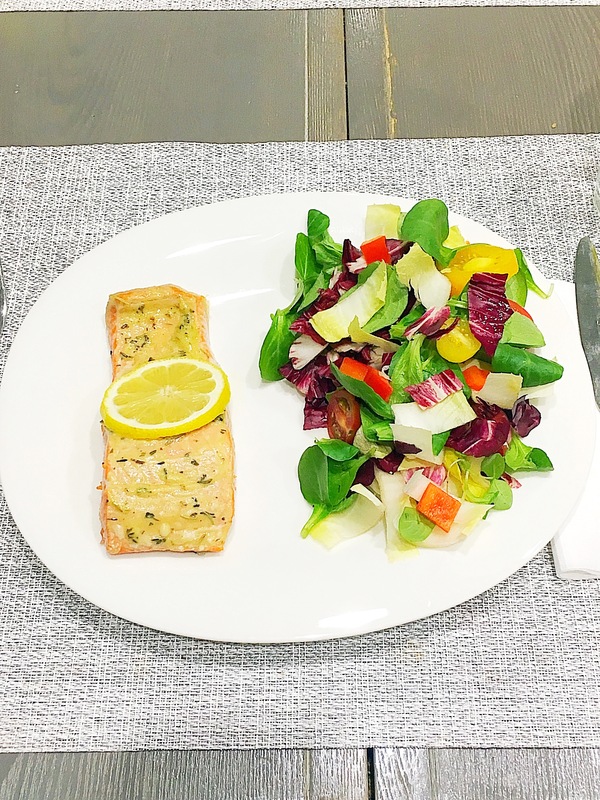 Place the salmon on a greased baking sheet and put one slice of lemon on each filet. 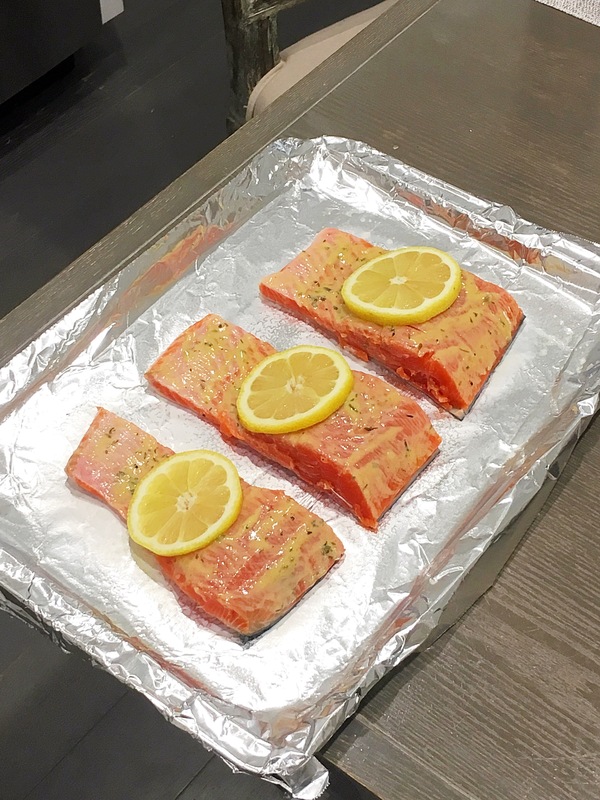 Bake it in the oven on 400 degrees for 10-12 minutes depending on how you like your fish cooked. I hope you enjoy it! !